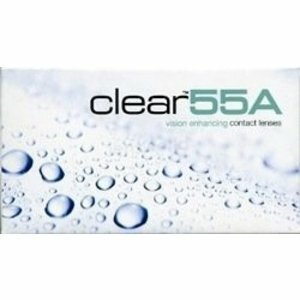 Clear 55 A - 6 lenses - Weblens - Your Contactlenses Online ! Clear 55 A is a monthly lens that gives a very clear contrast even with the skylight. This lens is aspherical, this also contributes to an extra sharp view and a pleasant fit. A comfortable and budget-friendly contact lens. Wearing monthly lenses is very interesting in terms of price / quality ratio for people who wear lenses almost every day. Make sure to have a point of maintenance of these lenses, they have to remain clean for a whole month. Preferably use a quality product such as Renu or Complete. Replace your cleaning fluid daily!